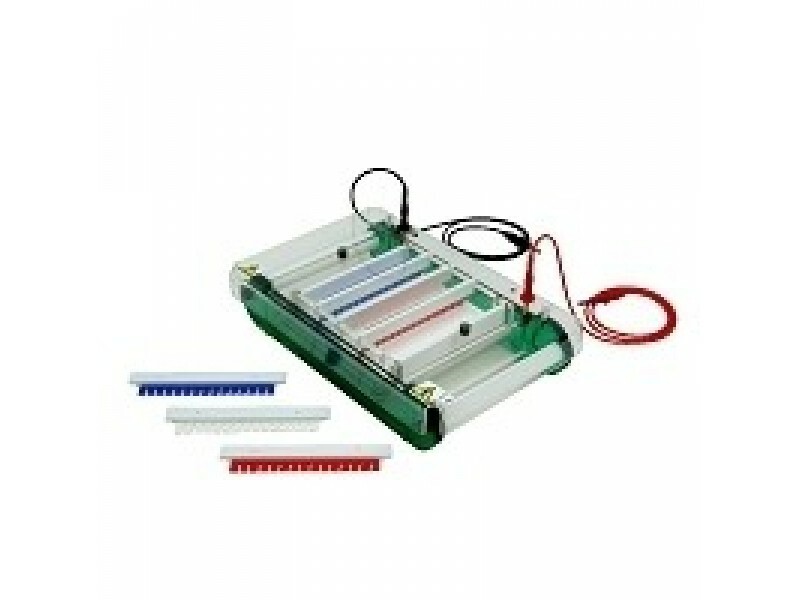 HU15 Standard Setting the standard for horizontal gel electrophoresis - Raya Scientific Co. The HU15 Standard horizontal gel unitprovides the sample throughput and tray-size options most popular in today's market, but includes additional casting options. A maximum 120-sample throughput makes this unit a highly versatile option for screening samples ranging from DNA mini-preps to PCR products. Each unit is supplied with a UV-transparent 15 x 15cm gel tray whose four comb slots are positioned in regular 3.5cm intervals to reduce sample migration time. Buffer recirculation ports are provided as standard so that the HU15 may be connected to the Watson Marlow buffer recirculation pump, which is also available through Scie-Plas. Casting gates with integral silicone seals ensure effective leak-free casting, whileHU15-SS Scie-Plas Super-Seals can be positioned anywhere within the gel tray to afford the user complete flexibility in gel length selection.